The Physical Activities Center (PAC) arena has a seating capacity of 2,278 seated or 2,600 standing-room and serves as the home court for the Screaming Eagles' indoor sports programs. The building also provides instructional space for physical education and recreation programs as well as offices for the Athletic Department and Kinesiology and Sport Department. Loved the energy! It would have been nice to have a small music element-pep band or something. I’m sure the logistics would have been a nightmare, but other than that, I was pleased by the turn out and that the President was there!!! 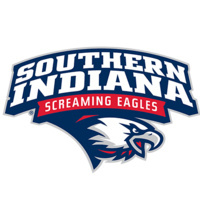 Way to go USI!! if you can have this picture(same picture of what i chose) just needs to fit the square.